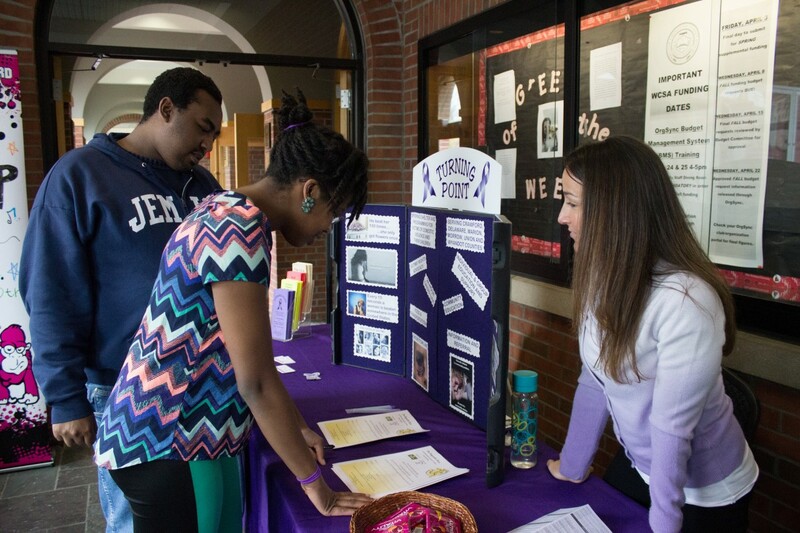 The four Health and Human Kinetics majors prepare you for careers in a growing field promoting individual and public health. To become a health and human kinetics expert, it’s essential that learning takes place in the field. 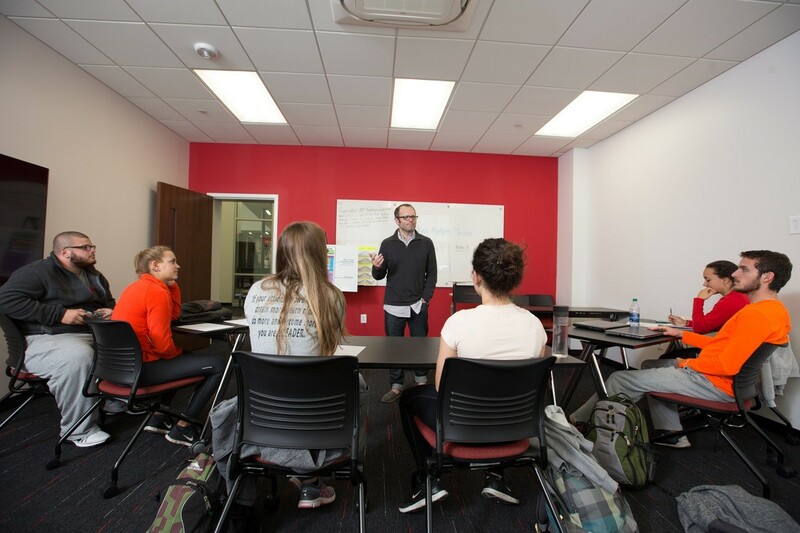 The real-world application of knowledge that defines The OWU Connection is vital to preparing you for a flourishing HHK career. 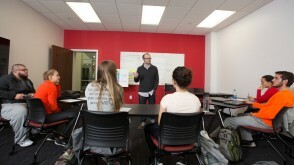 At OWU, you master the theories of your field when you apply them to your life and to the lives of others. Opportunities such as hands-on coursework, field experience, travel-learning, and internships are built into the curriculum, and they start from your very first semester. A Theory-to-Practice Grant could fund your original research, internship, or creative project throughout the world. 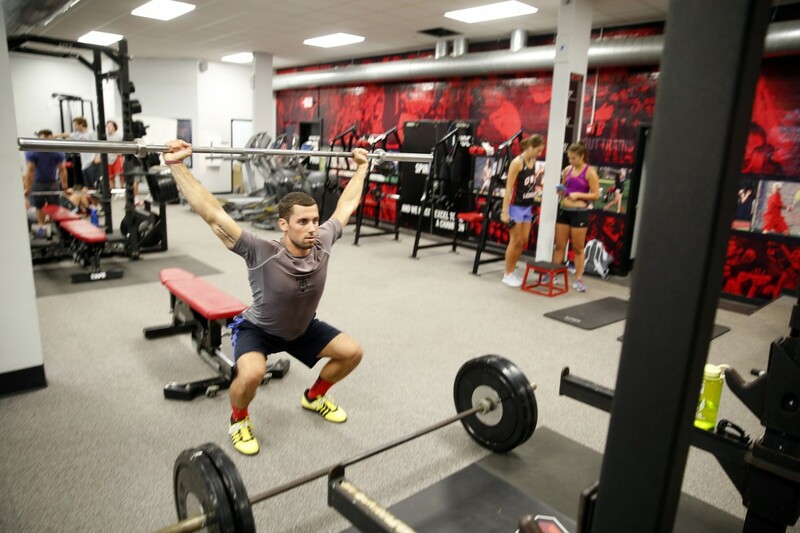 Do athletes slump at season's end? 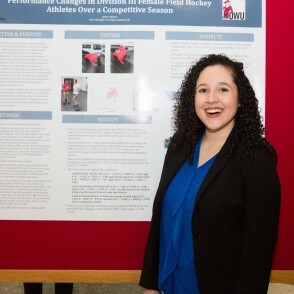 Exercise Science major Jacqueline Feliciano ’18 studied muscle imbalances and performance changes over the course of a field hockey season. 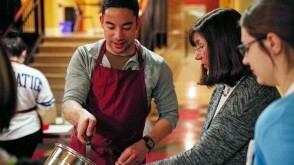 She worked with faculty member Andrew Bush on the project. After graduating, Jacqueline moved on to the Doctor of Physical Therapy Program at Ohio University. 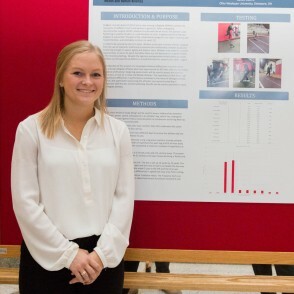 Working with faculty mentor Andrew Busch, Cassandra Oberle ’18 conducted a research project testing leg strength and power in athletes with and without ACL reconstruction to better determine when athletes should return to training and competition. From your first year on campus, you can get off campus with Travel-Learning Courses, a key part of The OWU Connection. Journey to a distant land and immerse yourself in another culture. 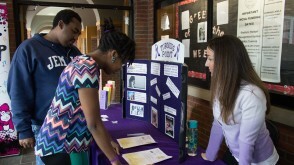 Learn how classroom theory truly connects with real-world experience. 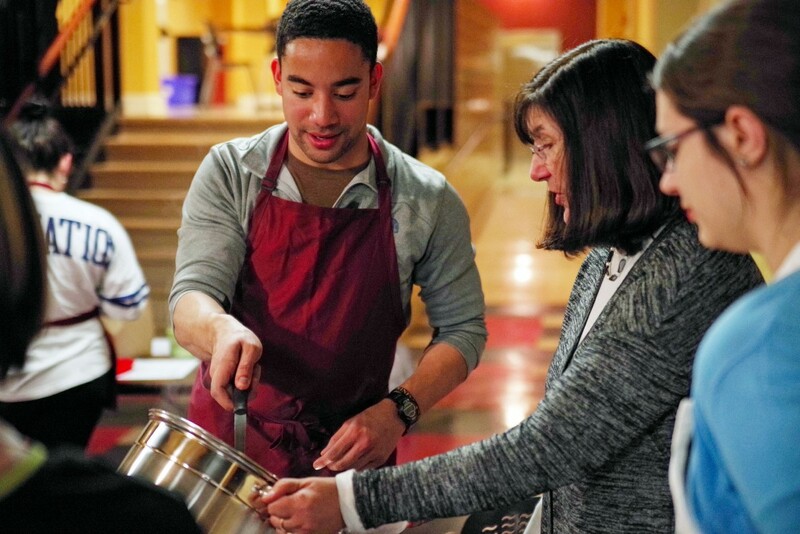 The most recent Travel-Learning Courses in the department have taken students to Italy for studies of obesity, food philosophies, and traditions. 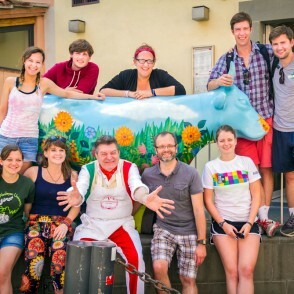 Ohio Wesleyan University professor Chris Fink and his students visit Dario Cecchini, the world’s most famous butcher, during a travel-learning experience in Italy. 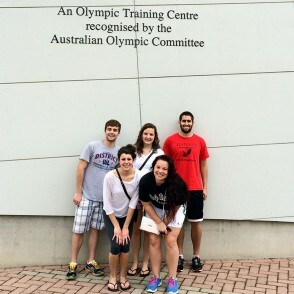 A group of five OWU students and faculty member Richard Hawes traveled to Australia to visit the Australian Institute of Sport, renowned for its research to enhance athletic performance, fitness, and health. 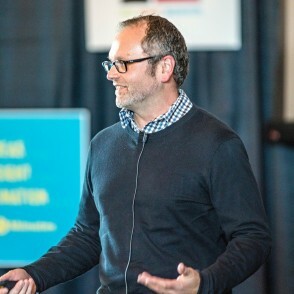 The trip was supported by a university-funded Theory-to-Practice Grant. Build your experience and connections to the professional world with internships with health and exercise centers, professional sports teams, community agencies, and businesses. 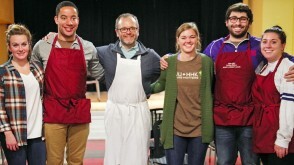 Every HHK major completes a 120-hour internship during their junior or senior year. 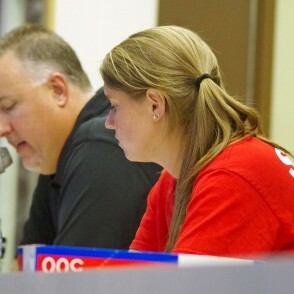 Kristie Prendergast ’15 worked in sponsorship and marketing for Major League Lacrosse’s Ohio Machine, where she worked with the announcer during the Machine’s summer season. She now is Corporate Partnerships & Premium Hospitality Representative with the Cleveland Indians. 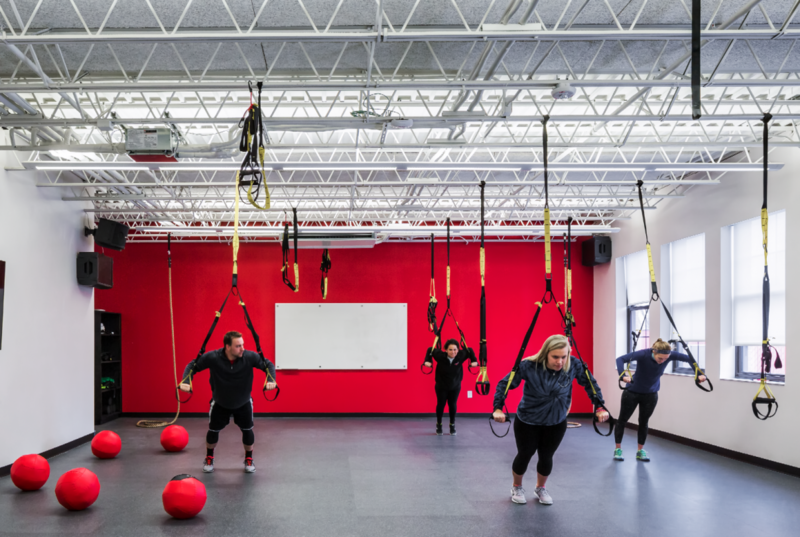 In classes like Cardiovascular and Flexibility Training, you'll apply fundamental theories to your own fitness level as you fully learn about techniques that you'll soon be teaching. 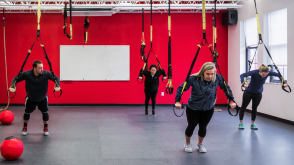 OWU's fabulous new Simpson Querrey Fitness Center houses the HHK Department and serves as a classroom and lab space for HHK students. As a junior or senior you will complete a 120-hour internship in your chosen area of concentration. You will experience the effort and responsibility that comes with your potential career. In courses like Motor Learning and Exercise Prescription, you’ll learn to prescribe exercise regimens and nutritional plans for adults. You will go through the same process you would in your professional career — plan, teach, observe, and make decisions to positively impact the health of each individual. 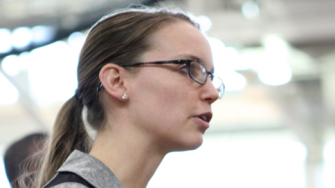 Sarah is the Assistant Track & Field Coach at the State University of New York Plattsburgh. Many of our graduates pursue careers in physical therapy. Jenna Bialik '09 earned her doctorate from Duke University and is now a licensed physical therapist in San Francisco. 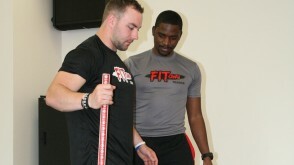 Josh Gardner '11 is an LPT in Westerville, OH. Jessie Huschart ’13 is a physical therapy doctoral student at the Medical University of South Carolina. Graduate Patrick Trenor, physical education teacher and coach at Urbana High School, says: "I was lucky to have a great group of professors who really cared about my individual success and were mentors to me throughout my four years at OWU." 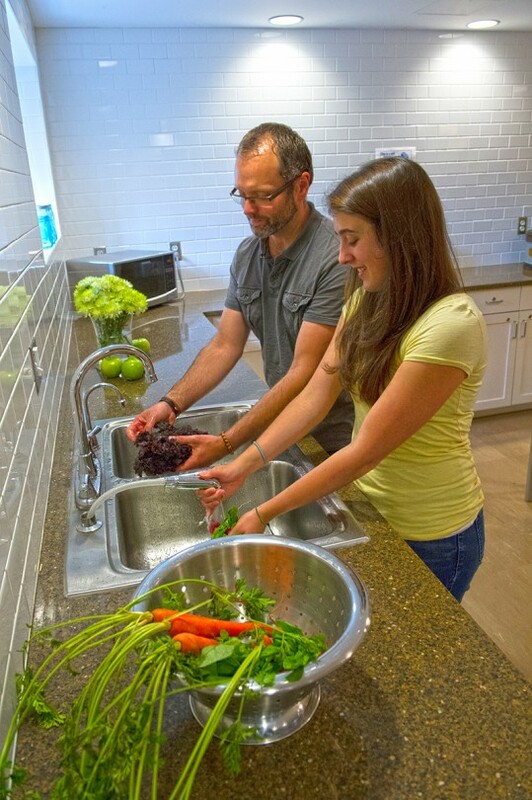 Recent Health Promotion graduates have earned graduate degrees in areas such as Public Health, Exercise Physiology, and Nutritional Sciences at schools such as American University, Ohio University, and the University of Connecticut. 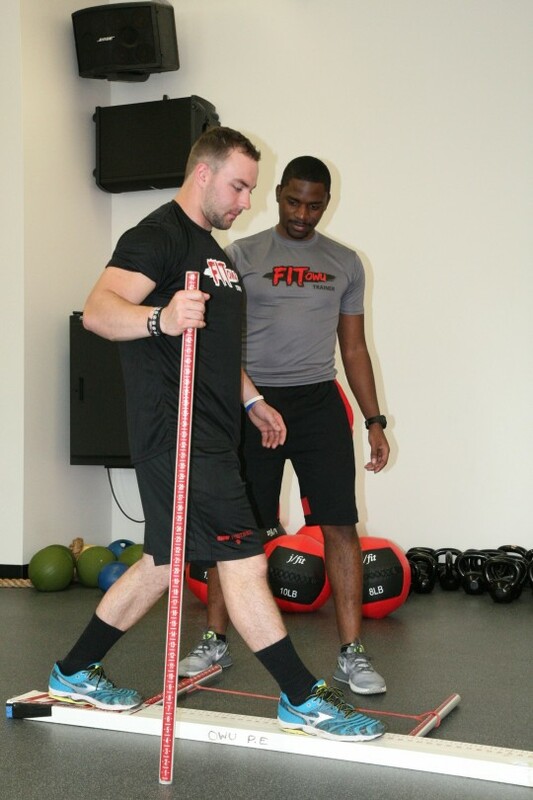 Exercise Science graduate Grant Geib '09 earned his master's in kinesiology from the University of Tennessee and is now Director of Strength and Conditioning for Western Michigan University Football. He says: "When I got to graduate school and started coaching, I already had years of practice leading up to it. 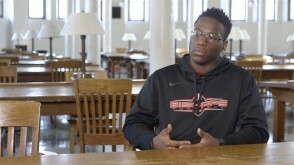 The real-world application of the OWU program gave me a head start." Recent graduates have begun careers in sport management and coaching with the Cleveland Indians, George Washington University Athletic Department, and the University of Illinois at Urbana-Champaign. After graduating in 2014 Cassie Fowler joined the famed Durham Bulls Baseball Club in Durham, N.C., and is now assistant manager of group sales. 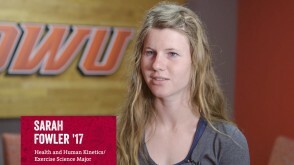 Exercise Science major Sarah Fowler '17 talks about her OWU experience in the classroom and as an All-American in Cross Country and Track. Enjoy small classes in HHK.